Incorporated Name: Tutor Doctor Systems. 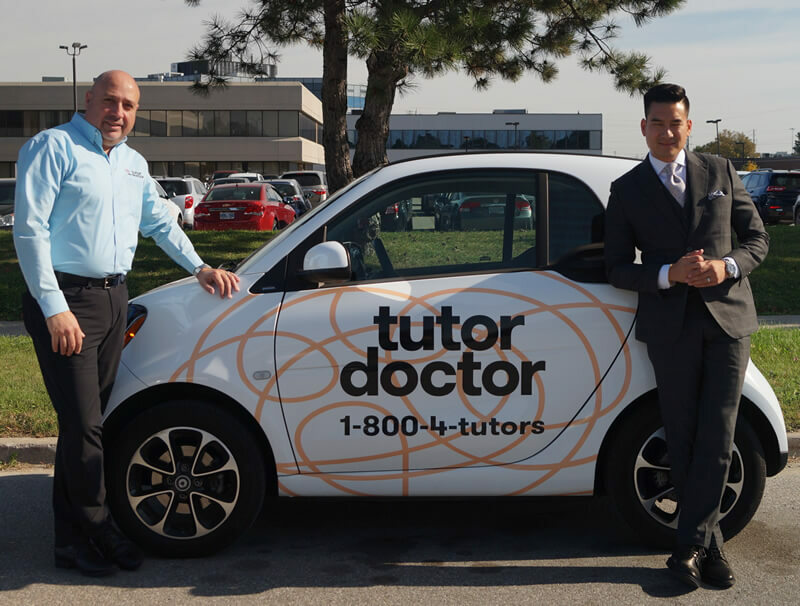 Inc.
As a prominent leader in the multi-billion dollar industry of private tutoring, Tutor Doctor is experiencing one of the fastest growing international expansions of any educational company in the history of franchising. With over 500 locations around the world, Tutor Doctor has changed the lives of 270,000+ people by helping them their academic goals. This is accomplished by utilizing a unique one-to-one tutoring approach that matches students with professional tutors based upon the students' individualized needs. Tutor Doctor's approach to education enables any child of any age to get help on any subject – whether they require remedial attention or academic enrichment. While each year Tutor Doctor has continued to grow at unprecedented rates, it is the commitment to the core philosophy – every child can learn, but not every child learns the same way – that remains the source of Tutor Doctor’s success. Frank:	Tutor Doctor is about helping kids. Dennis:	It's not just about getting As and Bs. All of our students that are enrolled with us have the ability to learn. They just don't learn differently, so we just help them find their learning style and the confidence follows. Jennifer:	At Tutor Doctor, I personally feel that we really are engaged with what the child needs day in and day out, and we're able to understand what their struggles are because a lot of kids don't think they're smart enough and it really has nothing to do with that. It's helping them get focused and helping them really achieve the goals that they set in mind. Frank:	I think that a lot of children tend to give up on their dreams when they start struggling in school. You know, that kid that wanted to be a veterinarian or a doctor, that dreams begins to fade when they begin to struggle, and we're there to help them realize that they can achieve what they want to achieve. John:	With most tutoring services, the status quo is having a tutor, say twice a week, but really, if you go and see a tutor twice a week for an hour each time, it barely covers support with homework. Most students, not only do they need homework support, they need some assistance in getting back to last year's missing foundations. Jennifer:	We formulated a building block process, which helps us understand where did last year's foundations go missing. For example, right now, if a cihld's doing math and they're struggling in division, it's not necessarily division that's the problem. It could be their multiplications, it could be their addition, it could be the subtraction. 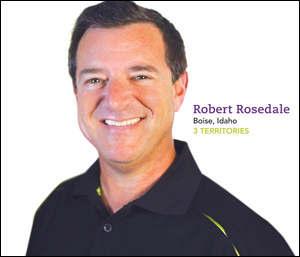 We have a formula that we put in place that really helps our consultants go out in the field and really educate the parents where we have to do the tutoring. Dennis:	We share the responsibility with the parents as well. They don't have to feel that they're in this alone. We take some of that anxiety and responsibility, and we work together with the school, with the child and with the parents and it's a holistic approach that I think is really important to this. Speaker 5:	Things were getting really harder in school, so he was struggling and we thought Tutor Doctor would be the best. They do a preliminary assessment for him. They come to the house and it's one on one. Jennifer:	One on one tutoring is pairing out one student to one tutor. That means for that hour, the student has 100% of the tutor's attention. Frank:	Being able to do this in a one-on-one setting, as opposed to what you typically find in a learning center setting, where you have a ratio of 3:1 students, maybe 4:1 students, is that the child gets the individualized attention. Jennifer:	It's so hard to not get addicted to this business because when you're making a difference, that's something that not even money can bring to you. It's just such a different passionate feeling. John:	We are all inspired to make a difference with our young people. 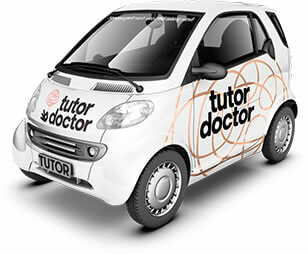 Tutor Doctor is currently accepting inquiries from the following states: Alabama, Alaska, Arizona, Arkansas, California, Colorado, Connecticut, Delaware, Florida, Georgia, Hawaii, Idaho, Illinois, Indiana, Iowa, Kansas, Kentucky, Louisiana, Maine, Maryland, Massachusetts, Michigan, Minnesota, Mississippi, Missouri, Montana, Nebraska, Nevada, New Hampshire, New Jersey, New Mexico, New York, North Carolina, North Dakota, Ohio, Oklahoma, Oregon, Pennsylvania, Rhode Island, South Carolina, South Dakota, Tennessee, Texas, Utah, Vermont, Virginia, Washington, Washington, D.C., West Virginia, Wisconsin, Wyoming.